The audio of Kuselan, a film that he is doing a special appearance has gone for a record price in Tamil music business. The audio after a bidding war has been snapped up by Big Music, an Anil Dhirubhai Ambani group company for a new record high of Rs 2.25 crore. The film has music by the comparatively new music director G.V Prakash. According to an music industry spokesperson- " G.V Prakash's Kuselan has got an higher price for audio rights much more than what his uncle A.R Rahman's Sivaji fetched. 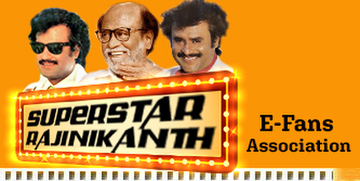 It is only because of the magic of Rajinikanth nothing else." Kuselan has five songs, with a Daler Mehendi number being the highlight. The others who have rendered their voice for the album include Shankar Mahadevan, Kailash Kher, Shriya Ghosal and Hariharan. The audio will be launched on June 30 Friday in Chennai by Big Music.